If you haven’t taken time to review and update your careers page in the last several years, now is the time to do so. Having an outdated careers page on your website could be deterring top talent from applying to your positions, regardless how great an opportunity it may be. When you update your careers page, it is important to make sure that you are including mobile strategy in your modifications. Going mobile may seem like an unimportant thing, but if you want to attract the best talent, you NEED to create a mobile careers page immediately! A mobile careers page makes it easy for top talent to view and apply to your positions. Having a mobile careers page means that top talent is able to easily access your postings from tablets and smart phones. With the increasing usage of these mobile devices, it shouldn’t surprise you that many people no longer use computers or laptops to search for and apply to jobs these days. If you have a tablet or smart phone, you likely understand this. How often do you find yourself at home, on the couch, surfing news articles and social media on your mobile device? If this happens to be a nightly ritual for you, believe me that you are not alone. Because passive candidates are more than likely going to see any postings that capture their interest on a mobile device, it’s important that your careers page is mobile in order for you not to miss out on this top talent. A mobile careers page shows that your company is technically savvy. Not only is going mobile a way to make it easier for top talent to view and apply to your positions, but it is also a great way to demonstrate your company’s tech-savvy culture. In today’s technically advanced world, it is very appealing to top talent to see a company with a culture that embraces technology and mobile devices. 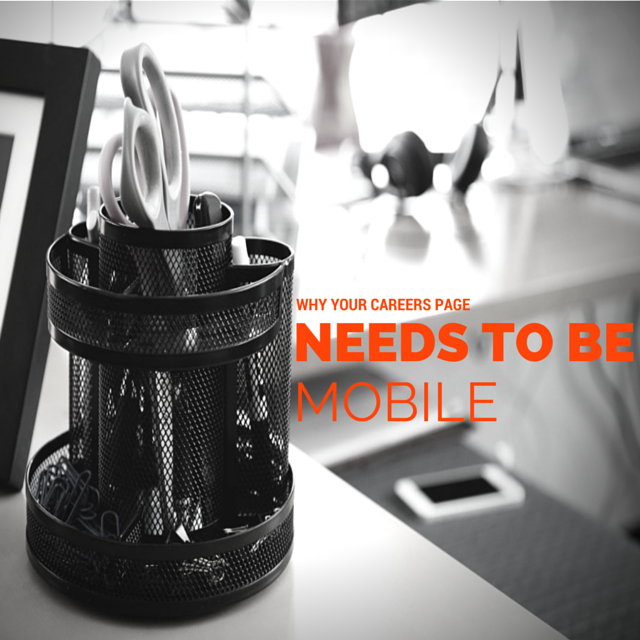 What’s keeping you from having a mobile careers page?